Series touch Cutlery "Innovator". Touch sensor fork and spoon "Innovator". At the end of the presentation of the touch series Cutlery "Innovator", will be shown the full set of all possible Cutlery, which will be monitored using the mobile app "Innovator". Today will be presented to the next Cutlery in this series - touch spoon and touch the spoon "Innovator". For Your first submission, to be clear, touch the spoon and fork will have a small touchscreen on the plane of its connecting strap with edalam and derjala - is their basic elements. This plane can fit really small and oblong screen which will show and reproduce the desired information, which is transmitted with a paired gadget with them. The user will be able without interrupting their interactive actions even while eating, namely, conduct the correspondence, make telephone and video conversations from your paired gadget, browse news, etc. Will be able to install a bit large screens that will be shown to potential investors and buyers of this idea that will allow a more comfortable use these table devices. Charging is performed using a new wireless charging technology. Gadgets, with a special original program will be able to analyze all the food that goes with them in their mouth the user, and signal the caloric content and suitability. Special care will be quite simple and not labor-intensive. 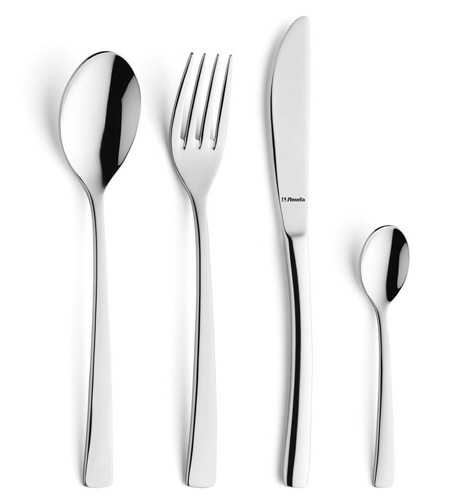 Socket built-in screen, then the spoon and fork can be as standard in stainless metal and with the use of precious metals. This technology is not applicable for teaspoons, as the high temperatures of hot beverages ( tea, coffee ) can negatively displayed on the touchscreen messes touch devices. This author's idea is open to investment cooperation or full of redemption.